The Vereenigde Oost-Indische Compagnie (VOC) or the (United) Dutch East India Company is widely regarded as the first company to have issued stock. It was at least the only company traded at the time in Amsterdam stock market at the Dam, what is regarded as the first ever stock market. I wrote about it in the review of the book “Confusión de Confusiones” by José de la Vega (“Confusion of Confusions“ in English). 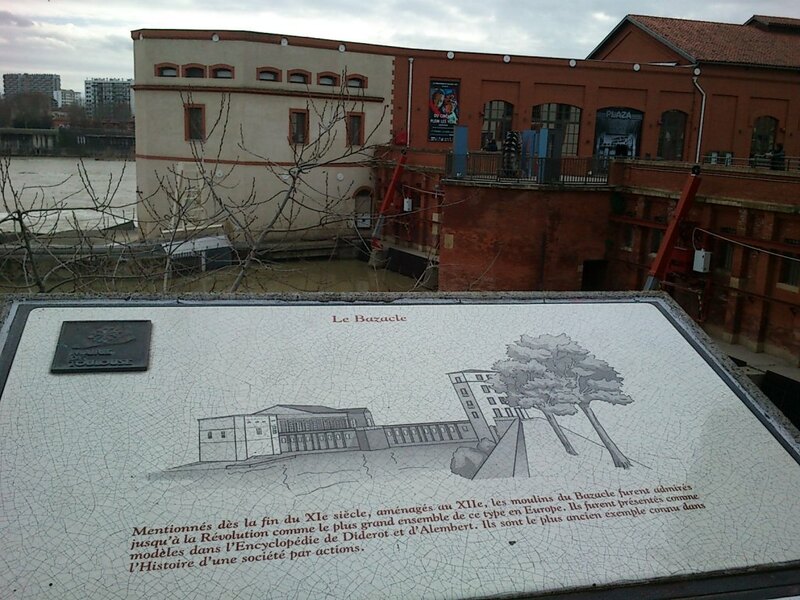 However, I had read some time ago about the Bazacle in Toulouse, and a disputing argument behind it. I went to visit it this weekend, in order to learn more from it. The word bazacle in French means ford, or a shallow place in a river where one can easily cross it. 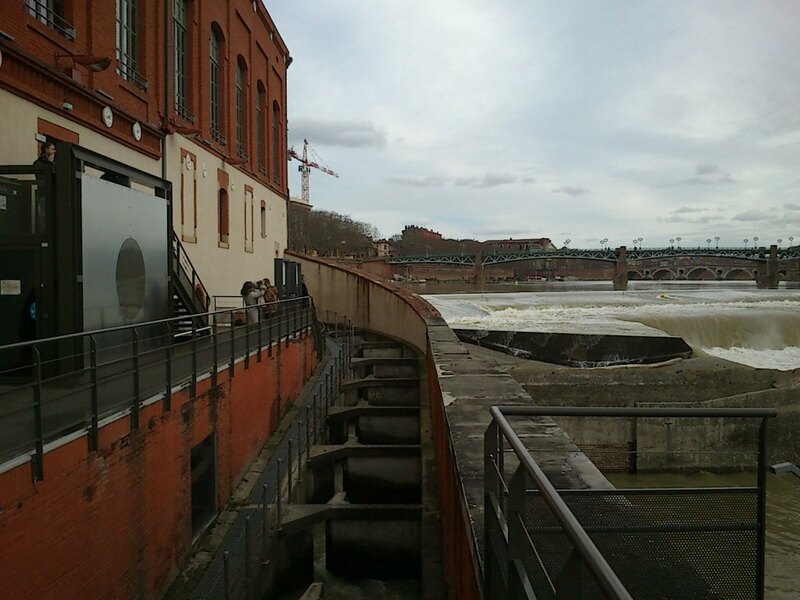 The Bazacle in Toulouse is located at a place where the river Garonne makes a turn to the left, becoming quite wide and shallow. Apparently in ancient times, it bifurcated in several branches and people did use to cross the river there. Some time later a bridge crossed the river at that location. View of The Bazacle, Toulouse. At the end of the XII century, permission was granted to build a sort of dam and some mills. Those mills, according to the sign post outside of the Bazacle (see the picture above) were widely admired up to the French Revolution, being regarded as the largest of the type in Europe and appearing in the encyclopedia of Diderot and D’Alembert. The argument in dispute comes next: the Société des moulins de Bazacle was financed by an association of noblemen who shared the profits of the company. Thus, this company is also regarded as the most ancient joint-stock company. The shares from the company could be traded at the market Toulouse, their value fluctuating and depending on the yields of the mills. Shouldn’t then be Toulouse regarded as the first stock market ever? The Bazacle Milling Company ceased to exist in 1946, when it was acquired by EDF, French national electricity company. The Bazacle today has a museum on the use of water, energy, origin of electricity, etc., hosts temporary art exhibitions and has as a main attraction a fish ladder, permitting migratory movements of some species. View of the Bazacle, its fish ladder and the river Garonne.